The most commonly known weight loss programs available in America include Weight Watchers, Jenny Craig, eDiets and Nutrisystem. However they are not always the same. Some programs such as Weight Watchers may ask you to visit their centers for regular meetings, while others such as Nutrisystem encourage you to work on losing weight at the comfort of your home. 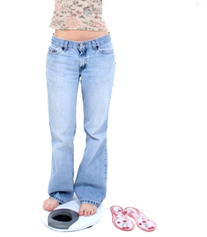 Some may promise a fast weight loss while other focus on setting a realistic weight loss goal. How much weight do you wish to lose? Setting a realistic goal is very important to keep you motivated!!! To lose 1 lb to 2 lb a week is more realistic than trying to lose 40 lb in a month!!! What is the Total cost for the program? Will you have to pay extra on top of what you have paid? Does the total cost include foods? Will they consider your lifestyle before making a diet plan for you? Or do they simply restrict your normal eating habit so that it's tough to follow through? Is the program able to personalize your likes and dislikes? What kind of maintenance program is provided and at what cost? Find out what the maintenance program consists of, how long it lasts, and what you must do. Remember that the longer the program focuses on helping you change your eating and exercise patterns, the greater the chances of long-term success. What is the refund policy? If you are not happy, you should have every right to quit the program and receive your money back.